As a CACI-WGI (The Wexford Group International) Lead Irregular Warfare Analyst, you will manage a team of analysts providing embedded and reach back support to Improvised Threat and C-IED efforts and operations executed by committed war fighting units and partners. You and your team will conduct irregular warfare analysis on threat networks that employ or facilitate the use of improvised threats such as Improvised Explosive Devices (IEDs). You and your team will support SOF and conventional units in comprehending how irregular warfare threats are organized, manned, equipped, and sustained and provide intelligence support to policy makers, planners, and operational forces engaging these threats. While deployed, you will embed with warfighters to assist operational and tactical commanders, their staffs and subordinate units and apply irregular warfare analysis to enhance their effectiveness against threat networks. You will apply irregular warfare analytic expertise and make recommendations for future products, anticipate customer intelligence needs, and explore anomalies, new developments, and trends that could impact or threaten US operational capabilities or intelligence requirements. Most deployments are 120-180 days in length. While providing reach back support, you will directly support embedded teammates; answer requests for support from other tactical units; and work closely with a wide variety of units, institutions, and partners. 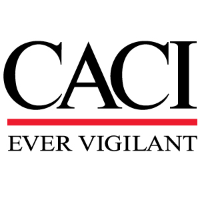 You will assist with pre-deployment training/preparation, conduct professional development within the CACI-WGI Irregular Warfare Analysis Team, and mentor new members of the team to ensure they are ready to deploy and succeed. Among the topics you and your team will analyze are insurgent political and military organization, military capabilities, and combat tactics, techniques, and procedures as well as recruitment, training, sustainment, population influence and control methodologies, material procurement, development, and proliferation, transregional logistics and financing. Minimum one-year experience in forward deployed locations supporting tactical operations. Minimum two years of experience conducting analysis of irregular warfare problem sets to highlight insurgent or threat network organization, key nodes, and vulnerabilities. More than ten years of military experience, and/or a combination of military and IC Agency experience, including recent combat deployments, and be well-versed in all areas of military intelligence. Be deployable to the required theater of operations, usually conducting periodic travel within CONUS and six-month deployments to OCONUS locations. Bachelor’s degree and five years of experience, or associates degree and seven years of experience, or nine years of relevant work experience. We will also consider five years of directly relevant work experience. Former 18F (Special Forces Intelligence Sergeant), 18Z (Special Forces Senior Sergeant), or 180A (Special Forces Warrant Officer). More than five years of experience conducting irregular warfare network analysis in support of attack the network operations. More than 15 years of military experience, and/or a combination of military and IC Agency experience, including recent combat deployments, and be well-versed in all areas of military intelligence. Formal training utilizing the CALEB or Irregular Warfare Analysis methodology. Expert understanding of Intel-related databases such as M3, TAC, NCTC Online, TIDE, ICReach SIGINT database, Cultweave SIGINT database, PROTON SIGINT Database.